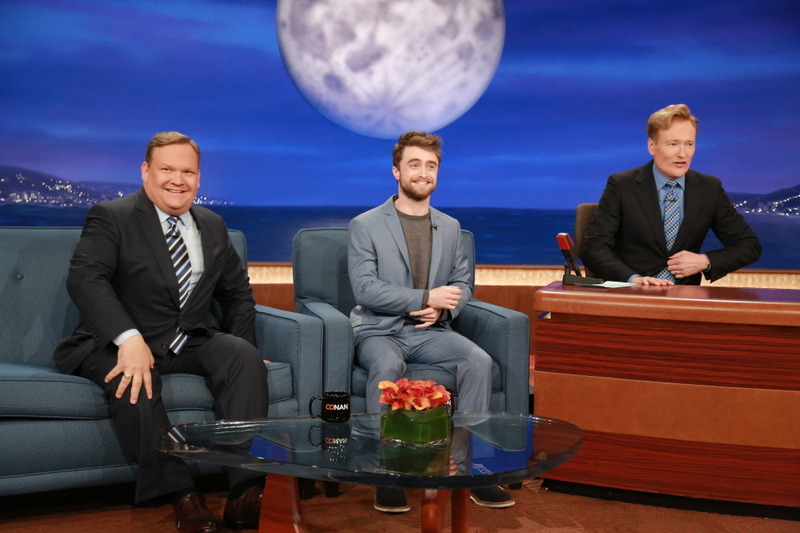 Daniel was a guest on CONAN, Conan O'Brien's talk show where he ofcourse promoted Horns but also talked about visiting the Star Wars set, Harry Potter and more. You find those clips below. Update: 13th November 2014. Behind the scenes photo via Facebook. Update: 24th January 2015. 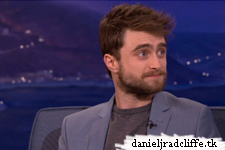 There's a gif via Daniel's Google+ page from him visiting the Harry Potter exhibition at the Warner Bros museum (a.k.a Warner Bros. Studio Tour Hollywood) in Burbank, CA (link via this site's page).